Kumasi Technical University has held a ceremony to bid the students from Institut National Polytechnique farewell after a two-week exchange programme to study English language in the University. The farewell ceremony was held at the Council Chamber for the thirty-one (31) students who came from Cote d’ivoire. Addressing the visiting students, Nana Awuah Dapaah (Director of Finance) who stood in for the Interim Vice Chancellor Prof. Asiamah Yeboah indicated that the English language they learnt in the Institution should not be enough for them. He said it should rather be seen as a spring which should push them to greater height. He urged them to study hard to become prominent people in Cote d’ivoire. Nana Dapaah further intimated that technical education is more practical as compared to the traditional universities’ education which is more theoretical and that they should put whatever they have studied to good use. Mrs. Cynthia Osei, a Senior Lecturer at the Department of Liberal Studies and one of the instructors who took the students through the English immersion programme on her part observed that even though the students stayed for a short time, it was worthwhile and was hopeful that it had improved their English language proficiency. She also entreated the students to converse in English as they go back to Cote d’ivoire. Mrs. Osei was full of optimism that there would be a clear difference between them and their colleagues who never came to the Institution to better their English language. 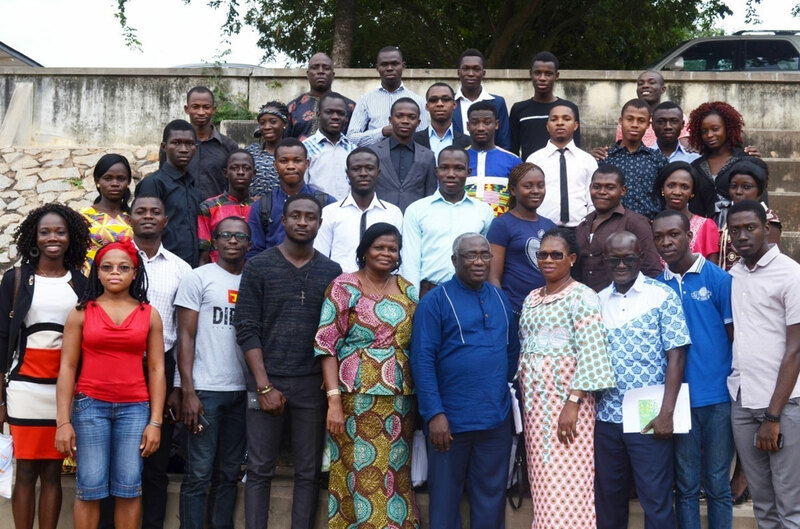 The supervisor of the Institut National Polytechnique on his part thanked the University for the warm reception and cooperation during their stay in Ghana. He conceded that there has been an improvement in the English language of the students and assured that the efforts of the instructors will not be in vain.